June 12 is Russia Day, a day that commemorates the country’s declaration of sovereignty amid the collapse of the Soviet Union. 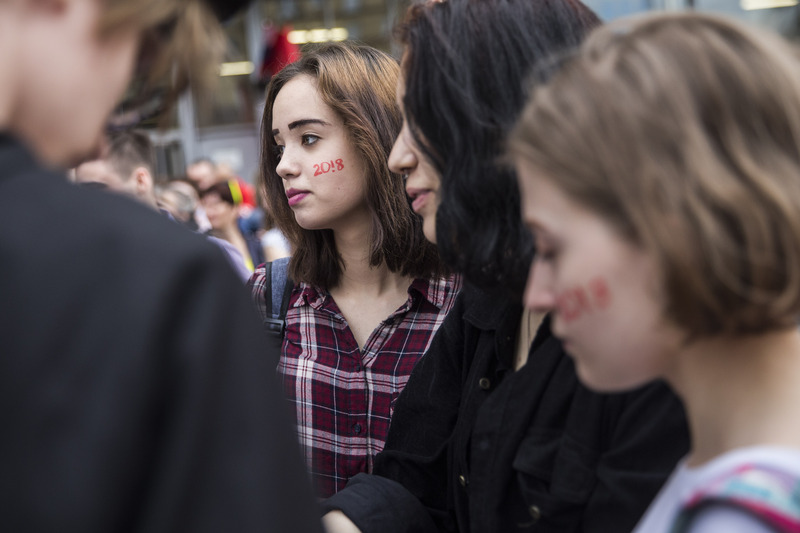 An official holiday with a hazy meaning, as well as a connection in most Russians’ minds to a time of political and economic chaos, Russia Day has rarely generated much public excitement in the post-Soviet era. But this year is different, and it could end up marking a milestone in opposition politics. Thousands of Russians assembled across Russia on this June 12, answering a call by anti-corruption crusader Alexei Navalny to re-purpose the holiday as a day to protest graft. 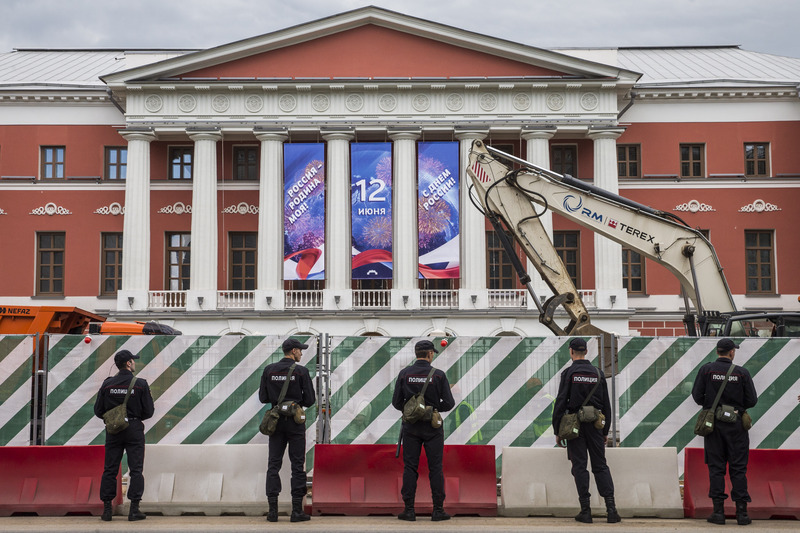 Authorities arrested hundreds in Russia’s two main cities, Moscow and St. Petersburg. Navalny himself was among those taken into custody. 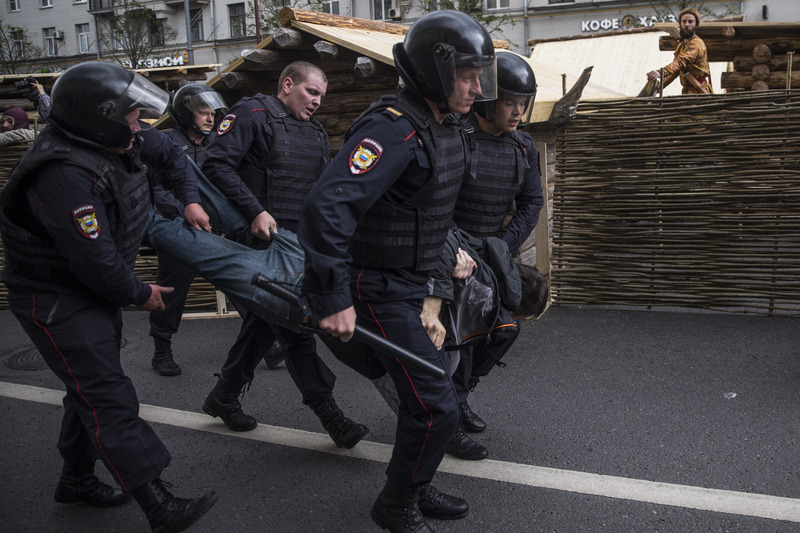 This symbolic reframing of political mobilization is only one way in which the June 12 protests represent a significant change in strategy for the Russian opposition. Navalny is intent on rebranding protesters as patriots. The June 12 protests sought to build on the demonstration of March 26 that occurred in 82 locations. Protesters in March targeted Dmitry Medvedev, whose vast wealth was documented in an investigative report and video produced by Navalny and his Anti-Corruption Fund. Despite the online attention that the video generated and the geographic breadth of the March protests, there was little official response. A motion to investigate the allegations brought forward by the Communist Party in the State Duma was blocked by United Russia deputies in April, and Medvedev brushed off the allegations as muckraking. Navalny, who was also arrested during March demonstrations, designated June 12 as a day of protest demanding an official response to the corruption allegations. 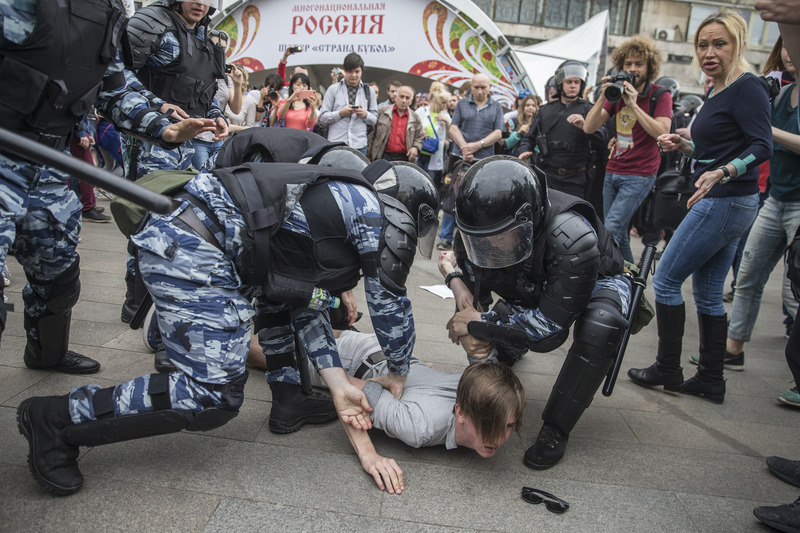 Protests in Russia have become rare events over the last 20 years. In the 1990s, strikes and labor unrest were relatively common, as regional governors vied with the Kremlin for power. During Vladimir Putin presidencies, however, the Kremlin has re-centralized and consolidated political power. Since 2000, protests have become infrequent, though some significant mobilizations, including protests by pensioners, continue to take place. Fraud during the 2011 parliamentary elections sparked the biggest protests since the collapse of the Soviet Union. It was also the first time that tens of thousands of people came out to protest directly against Vladimir Putin, chanting “Putin is a thief!” and “Russia without Putin!” The regime responded with a mix of repression, reforms, and shifting blame – most famously onto then-Secretary of State Hillary Clinton for organizing and funding the protests. Since then, the size and frequency of public displays of discontent decreased, though protesters continued to find creative workarounds to regulations limiting freedom of speech and assembly. The anti-corruption protests in March were the largest in five years, with an estimated 90,000 individuals participating. While these latest protests aim to tap into the same anti-regime sentiments that fueled the 2011-2012 wave of discontent, they represent an important strategic shift for Putin’s critics. First, the focus of the protests is on an actionable economic grievance – the corruption of state officials. When it comes to corruption, Russia ranks 131st out of the 176 countries surveyed, according to Transparency International. And a Levada Center poll, published last March, showed that 79 percent of respondents believed corruption had either “completely” or “significantly” permeated organs of state power in Russia. At a time when the Russian economy is weakened by sanctions and falling oil prices, an appeal by Navalny that connects official corruption with poverty has the potential to gain significant traction. Moreover, by targeting members of Putin’s inner circle rather than Putin himself, these protests have wide public appeal. Pocketbook protests, focused on economic grievances, tend to attract more people than overtly political, anti-regime actions. 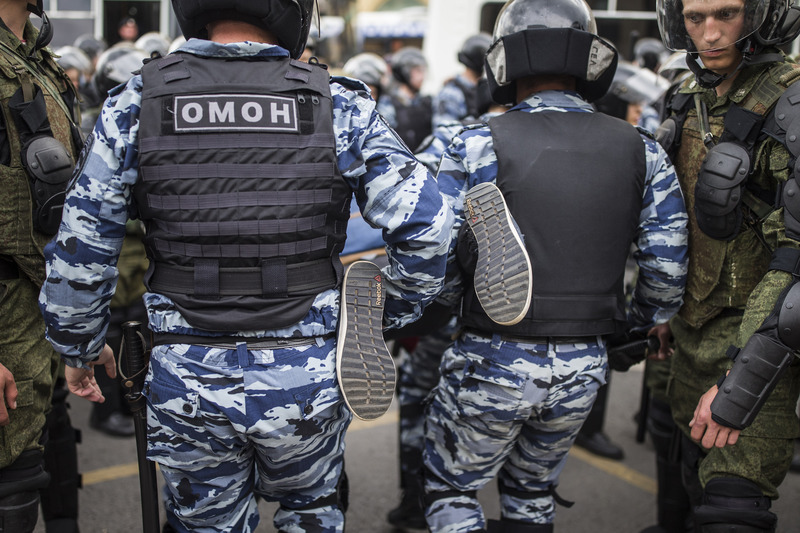 These protests also leave top officials with some room for maneuver: instead of relying on continued repression of protesters, the Kremlin could opt to fire the implicated officials. The second difference between these protests and previous ones is that Navalny has emerged as an agenda-setter. In 2011, when people came out to protest electoral fraud, the mobilization caught many in the opposition by surprise. Misconduct in Russian elections is commonplace. Few initially expected that the fraud perpetrated by United Russia would spark public outrage, let alone massive protests. By contrast, today’s protests are not simply reacting to regime misconduct or playing catch-up. Navalny and his Anti-Corruption Fund are raising issues and formulating political demands. Lastly, by using June 12 – Russia Day – Navalny is rebranding protesters, framed by the Russian state and media as dupes or agents of the West, as Russian patriots. He is flipping the script. The essence of his message is this: people who come out onto the streets against corruption have a deep love and respect for Russia and want to see it both strong and prosperous; those who oppose them want to rob Russia of its future and make it weak. 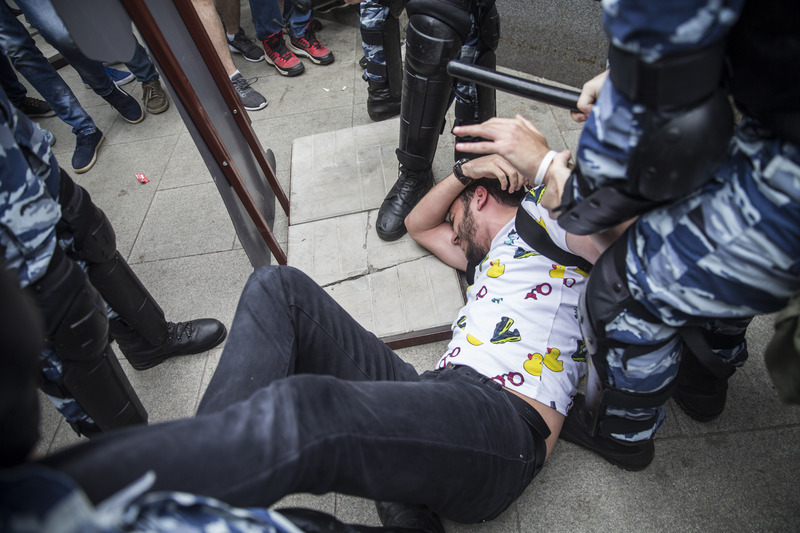 This narrative both legitimizes protest – an activity that many Russians are still deeply uncomfortable with – and puts the protesters in the role of defenders of Russia. 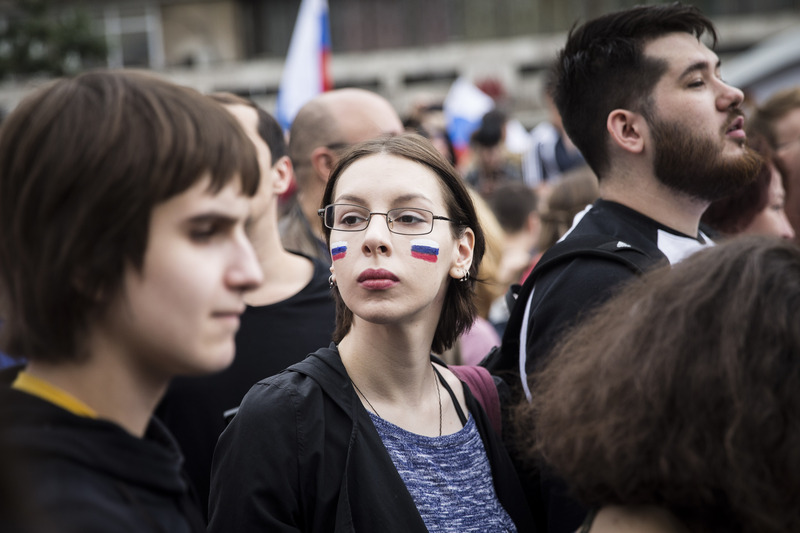 Focusing on economic grievances, setting the pace of events, and changing the narrative about protesters represent a significant strategic shift in Russian opposition politics. Of course, much depends on the regime’s response. 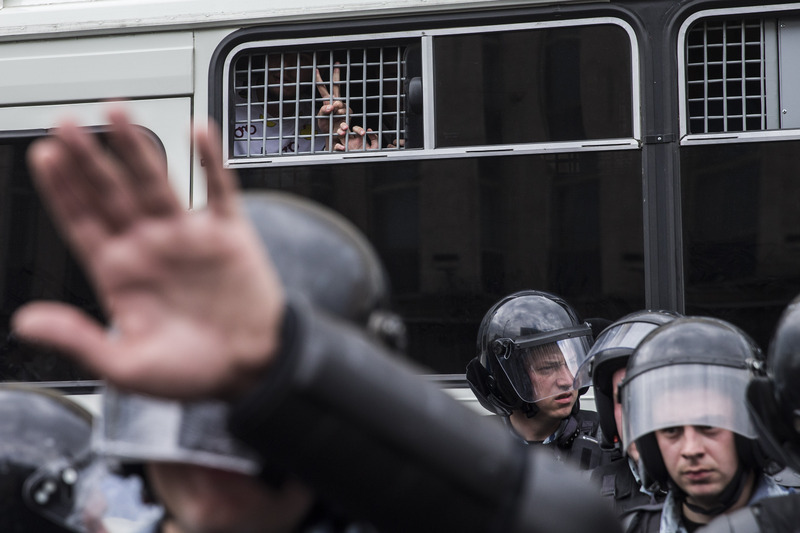 As of the evening of June 12, over a thousand people have been detained across Russia, but overall the response by authorities to protesters seems to be controlled. Time will tell if Navalny’s strategy has the desired effect. Yana Gorokhovskaia holds a PhD in Political Science from the University of British Columbia. She is currently a postdoctoral research fellow in Russian Politics at the Harriman Institute at Columbia University. Evgeny Feldman is a Moscow-based freelance photographer. His work is featured here (http://www.feldmanphotography.com) and here (http://navalny.feldman.photo).